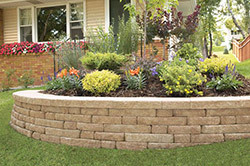 Landscaping will enhance any masonry project. The idea is to create a look that blends the two together, creating the most natural look possible. Our professional staff has many years of experience choosing the right landscaping to create the most natural look possible.